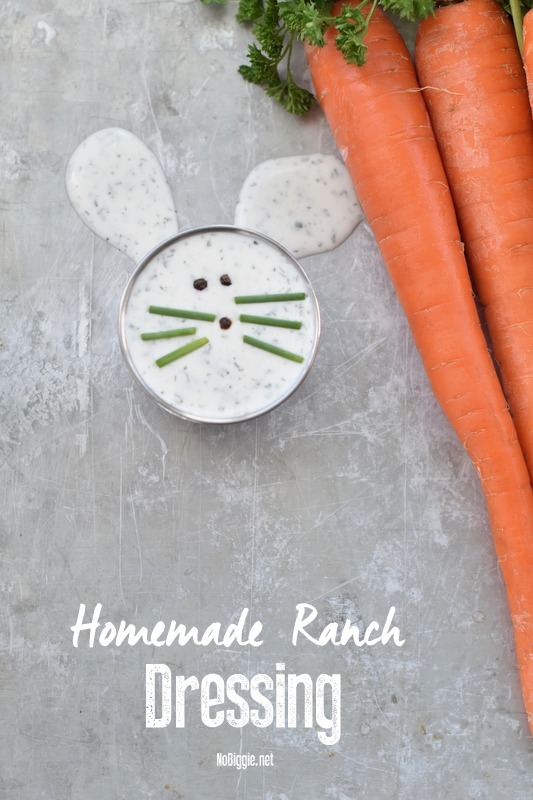 Learn how to make Homemade Ranch Dressing at home. This dry mix is great to always have ready when you need it. When we were on an elimination diet a few years ago, dairy was off our list, and I was pretty much making everything from scratch. Ranch Dressing was one of those things I learned to love to make from scratch. No more ranch dressing packets from the store for us! Even now that we are back on with dairy (thank heavens!) 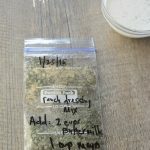 it’s still fun to make this ranch dressing mix from scratch and I love to make extra to have on hand for busy weeks ahead. The recipe goes great with everything…you know…how ranch dressing always does. We loved it with these captain crunch chicken strips recipe I shared earlier. Homemade Ranch Dressing Mix is a great thing to keep in your pantry for when you need to make ranch dressing. Mix dry ingredients with the wet ingredients: buttermilk and mayo. Whisk together until smooth. Chill in the fridge for a few hours before serving. Stores in the fridge for a couple of weeks. You can make a few dry ranch packets to keep on hand in your pantry. The best thing about this recipe is that you probably have all these dry ingredients in your spice drawer right now. Make a big batch of the dry mix. You can store it in small ziplock bags or for a big batch, you can store it in a mason jar. You’ll be glad to have it at the ready when you’re in a jam. The best part about making things from scratch is that you know exactly what you’re eating. You’ll have to give it a try! Mix together 1/2 packet of the ranch dressing mix with 1 cup of sour cream and 2 tablespoons buttermilk. 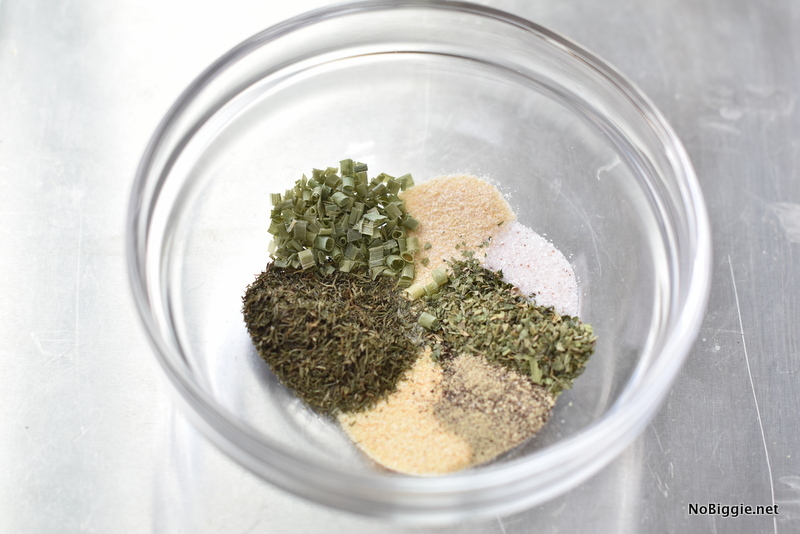 Add more flavor to regular chicken strips by adding this ranch seasoning to the flour mixture before baking. Toss 1 pound of potato wedges in a few tablespoons of olive oil and 1/2 packet of this ranch seasoning mix. Roast at 400ºF for about 30 minutes, until tender. Hay, I want to say that all your recipes are delicious! Thak you from Mexico City.